As part of AFA’s on-going mission to safeguard high quality music education in Texas communities, AFA is pleased to announce the third year of its Southeast Texas campus. Centered in Beaumont and based on AFA’s successful Houston curriculum, this three-week program will once again bring the AFA experience to graduating 5th through 12th grade string and piano players from Chambers, Hardin, Jefferson, Liberty, and Orange counties. Working under the guidance of AFA’s conducting staff, two student orchestras (Intermediate and Advanced) will prepare and perform a variety of music from the classical and contemporary repertories. Advanced level students will join the Houston campus Conservatory Orchestra for performances in both Houston and in Beaumont for the AFA community. All piano and string students participate in chamber music and receive daily coaching from the AFA faculty as they rehearse music from the standard repertory and appropriate contemporary works. 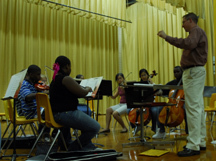 A chamber music concert gives students valuable experience rehearsing and performing in small ensembles. All piano students receive daily coaching, perform in two-piano or four-hand groups and, for more advanced students, in chamber music groups with string players. 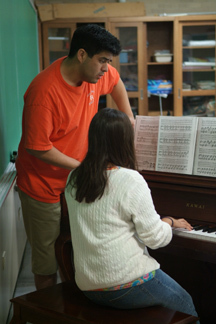 Pianists also receive daily training in sight-reading, technique and repertory classes. 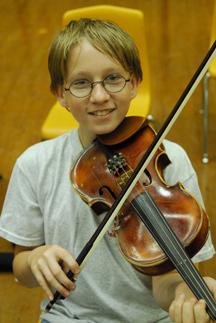 All students receive a minimum of three private lessons during the festival. Due to the limited amount of time students have with private teachers, AFA suggests that students come prepared to address any specific issues with which they may desire assistance. Items students may wish to address with private teachers include, but are not limited to, rehearsing and preparing orchestra or chamber music repertory, specific technical questions or concerns, receiving coaching on a solo or concerto movement they are preparing or practicing for upcoming contests and/or competitions. This type of focused, one-on-one interaction between working musicians and AFA students is specifically designed to help AFA students address individual musical goals. At various points throughout the Conservatory, distinguished guests and ensembles are invited to present master classes in a variety of instruments. In recent years, master classes have been presented by members of the Houston Symphony, Ballet and Opera orchestras as well as by internationally known chamber groups, composers, choreographers and performers from throughout the nation. 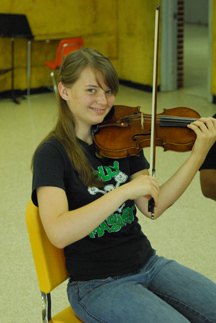 In many cases, students have the opportunity to perform for AFA’s visiting guests and receive additional coaching.